Jim has been a direct and database marketer since 1981. He has held positions ranging from building and managing a data mining and consulting practice, to significant P&L responsibility. Prior to co-founding Wheaton Group in January 2000, Jim was SVP of Strategic Consulting at KnowledgeBase Marketing (now KBM Group). Also, he was named an Officer at Kestnbaum & Company upon that firm’s acquisition by KnowledgeBase. Before KnowledgeBase, Jim was VP of Research & Consulting for Wiland Services, and then for Neodata upon that firm’s acquisition of Wiland. He built and managed a team that specialized in analytics and data-driven consulting. He also ran the firm’s Value Added Reseller business, encompassing the RL Polk (now, Equifax) suite of demographic overlay data products. Previously, Jim was a database marketing consultant, first with Kestnbaum and then with Wiland. Even earlier, he was a line manager at MBI, Inc., one of the world’s largest direct marketing companies, where he had P&L responsibility for several major product lines. 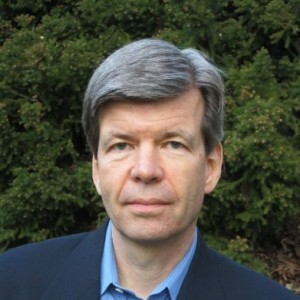 Jim has authored over 210 industry articles and speeches, and is former Chairman of The DMA Analytics Council. He holds an MBA from The University of Chicago and a BA from Brown University. Cynthia has been a direct and database marker since 1978, including nine years in line management where she had broad P&L responsibility. She also has deep expertise in areas traditionally not central to direct marketing, including market research and the structured development of new products and services. As a consultant, Cynthia focuses on strategic planning, circulation management, and new venture development. At Sara Lee Direct, a division of Sara Lee Corporation, Cynthia drove the development of all new ventures, including the Just My Size hosiery brand that was so successful it was rolled out nationally at retail. Then, at World Book she served as Director of Marketing for the Direct Response Division, focusing on the development of new products. Later at GRI Corporation, she was VP of Marketing for the Cosmetics Division, and was responsible for all areas of the business except product procurement. Cynthia began her consulting career at Kestnbaum & Company. In 1989, she launched her own consulting practice under the name Strategic Insight, which was the precursor to Wheaton Group. Cynthia has authored numerous industry articles and speeches. She holds an MBA from the University of North Carolina at Chapel Hill and a BA from Meredith College. Boris has been a direct and database marketer since 1983. He provides clients with hands-on marketing data warehousing, analytics and consulting. Boris also spearheaded the modernization of the database services practice at a major data management company. Before joining Wheaton Group in 2002, Boris was VP of Database Technology at Experian/Direct Marketing Technology. There, he was responsible for the delivery of marketing databases and business intelligence systems to Experian clients. Earlier, Boris was a database-marketing consultant and software developer with Precision Marketing Corporation, which was eventually purchased by Direct Marketing Technology, and prior to that with Foote Cone & Belding Direct Marketing Systems. AIG, BOSE, CDW, CitiCorp, Crate & Barrel, Dell, Disney Direct, Ethan Allan, Excelligence Learning Corporation, Godiva Chocolatier, HD Supply (White Cap Construction Supply), J. Crew, Jos. A Bank, Micro Warehouse, National Association of Realtors, Office Depot, Reiman Publications, Reliable Office Supplies, Ross Simons, Sears, and Spiegel (e-business). Boris’s articles have appeared in database marketing and database technology publications, and he has presented at several industry conferences. He has an MBA from The University of Chicago and a BS in Computer Science. Pam has been a direct and database marketer since 1985, specializing in marketing database construction and maintenance, campaign management, and business intelligence. Pam’s broad and deep knowledge of database marketing stems from her diverse roles as a database developer, marketing consultant, and team leader for a marketing solutions company. Pam spearheads our “Dataworks Direct” data management services group. Prior to joining Wheaton Group in 2004, Pam was Director of Database Development and Methodology for Experian/Direct Marketing Technology. Her responsibilities included the design and implementation of core architectures used in the development of cross-functional, multi-platform, hosted marketing databases. Leading a team of technical analysts and project managers, Pam’s contributions substantially improved the overall productivity and quality of corporate deliverables for clients as well as for internal cooperative database solutions. Earlier, Pam was a Consultant with Precision Marketing Corporation, where she spearheaded the construction and maintenance of marketing databases for clients, as well as the development of powerful campaign management software. She was instrumental in the creation of a rapid database development methodology that dramatically reduced the time required for builds as well as ongoing update processing. This methodology also provided robust mechanisms to ensure the continuing integrity of the underlying databases. Pam began as a programmer/analyst at SPSS, and at Foote Cone & Belding Direct Marketing Systems. Don has been a direct and database marketer since 1991. Besides his extensive B2C experience, Don has been deeply involved throughout his entire career in B2B marketing. Prior to joining Wheaton Group in 2004, Don was Director of Database Marketing for Cole-Parmer Instrument Company. There, he built the marketing database, defined market segments, constructed customer segmentation and circulation strategies, and spearheaded the company’s overall CRM initiative. Don also developed and then drove the implementation of Cole-Parmer’s overall Internet strategy. As part of this initiative, he directed the development of the company’s e-commerce solution, including the conversion of the printed catalogs to a database-driven, full e-commerce website. Prior to Cole-Parmer, Don was Marketing Database Manager at Reliable Corp., where he helped build and maintain the company’s comprehensive hybrid B2B/B2C marketing database. Don also managed a group of analysts, and spearheaded the creation and maintenance of the corporate website. Before entering the direct and database marketing industry, Don developed and marketed portfolio management and simulation software that is still used by Savings and Loans institutions throughout the country. He is a graduate of the University of Illinois-Urbana, with a B.S. in Management Information Systems from the School of Business.